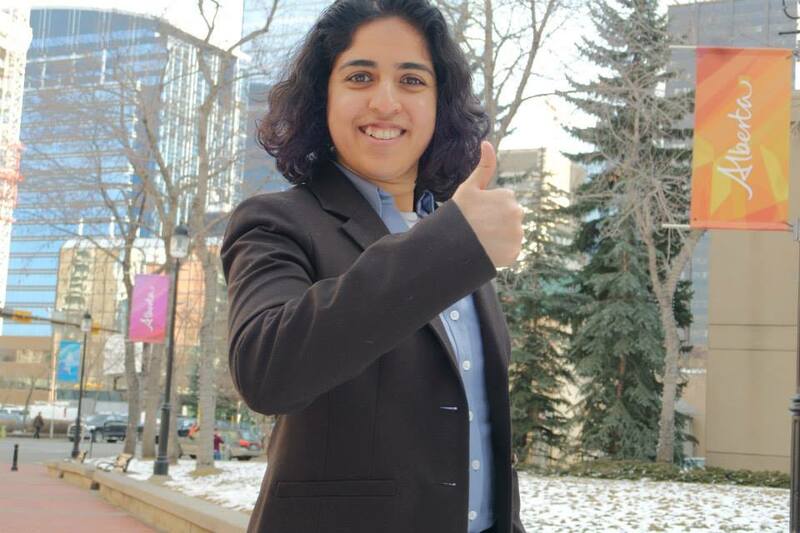 NDP candidate Anam Kazim for Calgary-Glenmore​ has won the riding by the tightest of margin of six votes in the official vote count after an election night cliff hanger of statistical tie of 7,015 votes! 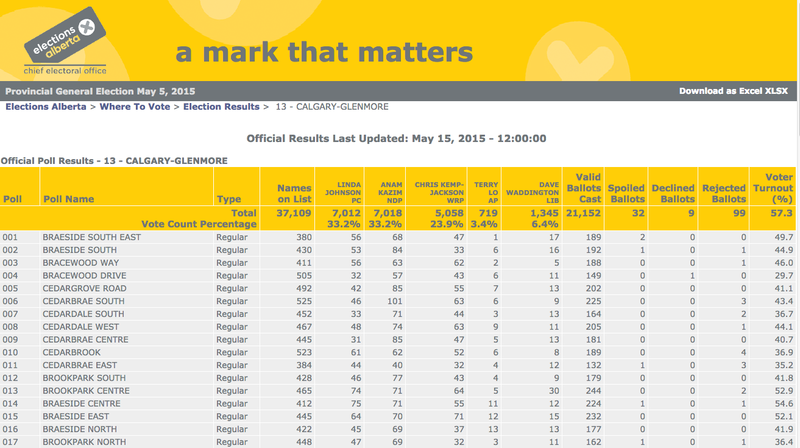 In the official votes count for Calgary Glenmore (screen capture) released by Elections Alberta at 12noon today, Anam Kazim NDP received 7,018 votes and Linda Johnson PC received 7,012 votes. According to Kazim, because of this uncertainty, she is still not be able to participate in any caucus meetings yet until this uncertainty has been resolved. In the 2009 Calgary-Glenmore by-election, the riding was won by just by 278 votes. Paul Hinman of Wildrose Alliance receiving 4,052 votes and Avalon Roberts of Liberal candidate receiving 3,774 votes. Kazim was to tell voters how important their votes are given she won by just six votes. At press time (1pm MST), Linda Johnson cannot be reached for comments and there has been no official announcement via Johnson’s tweeter account if there will be a request of judicial review. Johnson has eight business days (until May 28th) to decide if she would like to have a judicial recount in front of a judge where ballots can be disputed or challenged. P.S. Here is an interesting observation. When all dust settles and if Kazim remains the Calgary-Glenmore MLA, she may be sharing the same office building with Prime Minister Stephen Harper! Yes, currently the federal Member of Parliament office for Calgary South West and provincial Member of Legislative Assembly for Calgary-Glenmore office share the same second floor in a building in Glenmore Landing! 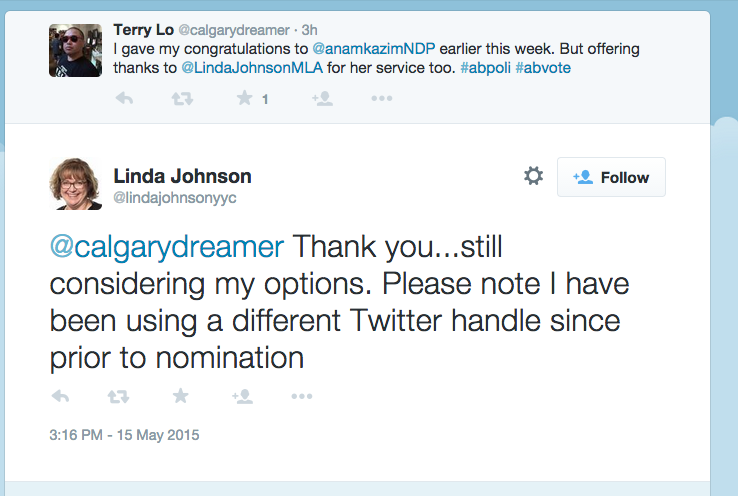 So Mr. Harper may have a new NDP neighbour! Exciting time indeed. May 15, 2015 7:46pm MST Update: Here is a good @CBCHomestretch radio interview w @lindajohnsonyyc which includes a chat re Johnson’s view on calling for a judicial review of the vote in the next 8 business days. This entry was posted on Friday, May 15th, 2015 at 6:55 PM and is filed under Business. You can follow any responses to this entry through the RSS 2.0 feed. Both comments and pings are currently closed.